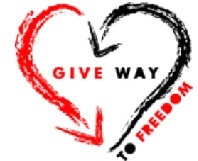 Give Way to Freedom | Donate now and support the fight to stop human trafficking world-wide!! 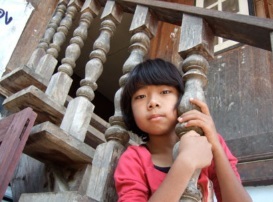 Donate now and support the fight to stop human trafficking world-wide!! This or more gets you a Folder or a Bag! This or more gets you a Folder! We would like to thank you for helping us advocate and care for the victims of human trafficking. When you donate certain dollar amounts, you may choose to receive one of our custom gifts that are designed and produced by women in Vermont! They are very durable but also eco-friendly because they are made partially from layers of recycled newspaper. If you donate $150 or more, you may select to receive our Give Way to Freedom folder, which holds a standard 8.5" by 11" notepad, has a pocket for extra papers and a business card holder inside! If you donate $300 or more, you may choose to receive our 16" by 5" by 12" tote complete with a cell phone holder! Using either of these gifts will help raise awareness and therefore allow us to assist even more victims of human trafficking! Give Way to Freedom has partnered with Network for Good to securely process your online credit card payment via Network for Good (tax ID 68-0480736). This transaction will appear on your credit card statement as "Network for Good." This transaction is subject to Network for Good’s Privacy, Security & Disclosure Statement and the Charitable Solicitation Disclosure.